Design of irreversible inhibitors is an emerging and relatively less explored strategy for the design of protein kinase inhibitors. In this paper, we present a computational workflow that was specifically conceived to assist such design. The workflow takes the form of a multi-step procedure that includes: the creation of a database of already known reversible inhibitors of protein kinases, the selection of the most promising scaffolds that bind one or more desired kinase templates, the modification of the scaffolds by introduction of chemically reactive groups (suitable cysteine traps) and the final evaluation of the reversible and irreversible protein–ligand complexes with molecular dynamics simulations and binding free energy predictions. Most of these steps were automated. In order to prove that this is viable, the workflow was tested on a database of known inhibitors of ERK2, a protein kinase possessing a cysteine in the ATP site. The modeled ERK2-ligand complexes and the values of the estimated binding free energies of the putative ligands provide useful indicators of their aptitude to bind reversibly and irreversibly to the protein kinase. 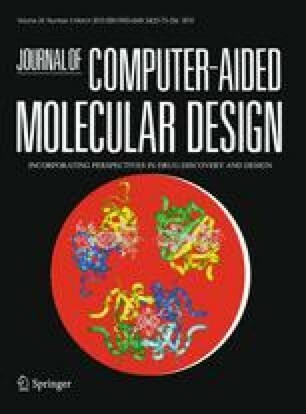 Moreover, the computational data are used to rank the ligands according to their computed binding free energies and their ability to bind specific protein residues in the reversible and irreversible complexes, thereby providing a useful decision-making tool for each step of the design. In this work we present the overall procedure and the first proof of concept results. The online version of this article (doi: 10.1007/s10822-010-9324-x) contains supplementary material, which is available to authorized users. This work was supported by grants from AIRC, the Italian Association for Cancer Research (Research grant “Novel irreversible protein kinase inhibitors targeting a conserved active site cysteine”).